Free in Home Consultation, for Your Convenience! Simcoe Draperies has been serving Moose Jaw and surrounding area with quality products and services for over 36 years. We are a locally owned and operated business. At Simcoe Draperies, we offer complete lines of vertical & venetians blinds, roller shades, pleated shades, cellular shades, bed spreads and drapery fabrics, and so much more. 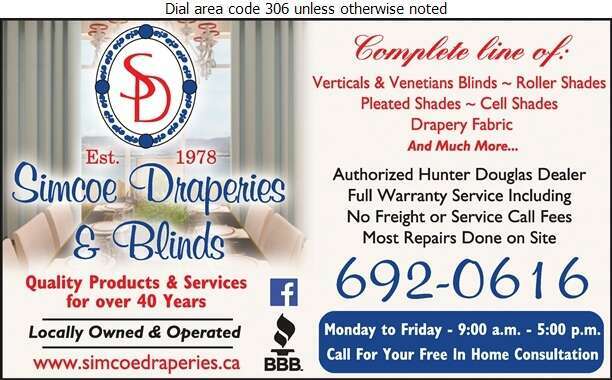 For your peace of mind, Simcoe Draperies is a member in good standing with the Better Business Bureau.